I was a little girl when I first got to know my cousin, LJ. He was already a man. I probably saw him before he was married, but I don’t remember. I do remember his brown, thick, wavy hair! 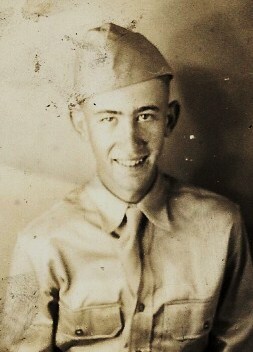 LJ was in World War ll. Thanks, LJ! I learned two things that day. 1.) I learned what a good man LJ was! He loved Ermadel for who she was and probably didn’t even see the flaw on her face, even though he knew it was there. 2.) I learned what a loving and wise person my mother was! Preparing us ahead of time saved a lot of nervous embarrassment for LJ and Ermadel, and for us. There is something else I’ve always remembered about LJ. He always smiled at me with a tender, loving smile! When I think back, all those years ago, that’s the main thought that comes to me! I would shyly smile back. Today, I think he probably was thinking and hoping for a little girl to be born to him and Ermadel! A few years later, Iris, and then Keith were born to them. I think LJ and Ermadel must have been very loving parents! LJ’s dad and my dad were brothers, making LJ and me cousins. My parents became born-again Christians when I was about two years old. They were the only ones born again in both of their families and were very often ridiculed by their siblings. 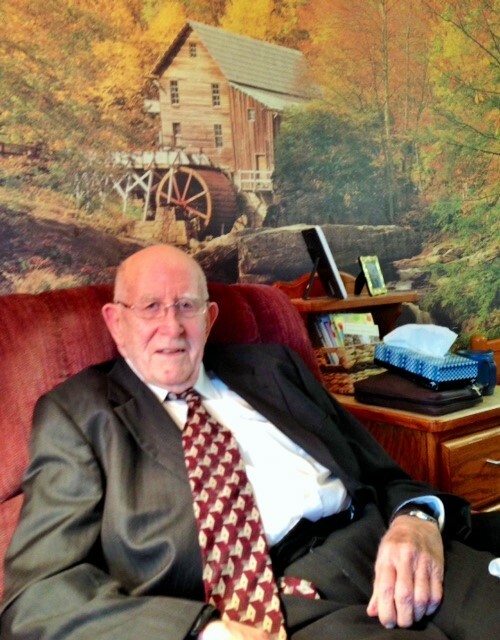 But in 1948 LJ made a life-changing decision to live for Christ. A special bond was formed between LJ and my dad. Years went by and LJ and I hardly had contact with each other, but being cousins, we still had that bond between us. 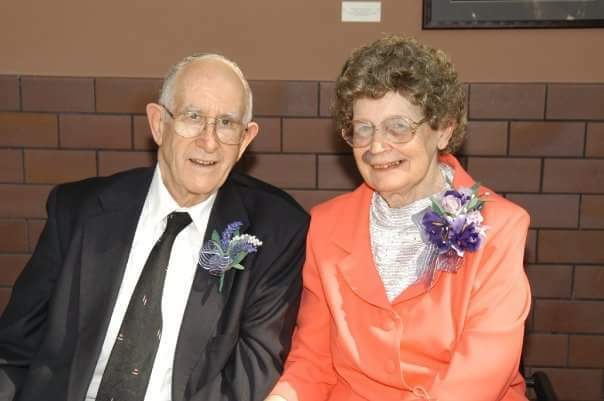 A couple of years ago another cousin, Erma, died, and my daughter and son-in-law, Pam and Gene, drove Jerry and me to Iowa to attend her funeral. Who else was there? LJ with his daughter, Iris. We’d not seen each other in years! Then last year we had a cousins reunion in Iowa. LJ and I had a time, just for the two of us, to visit and reminisce about our lives. I told him about his smiles when I was a little girl and how much they meant to me. He didn’t even remember! But I do! I took this picture of him during our little visit. He was 90 years old! 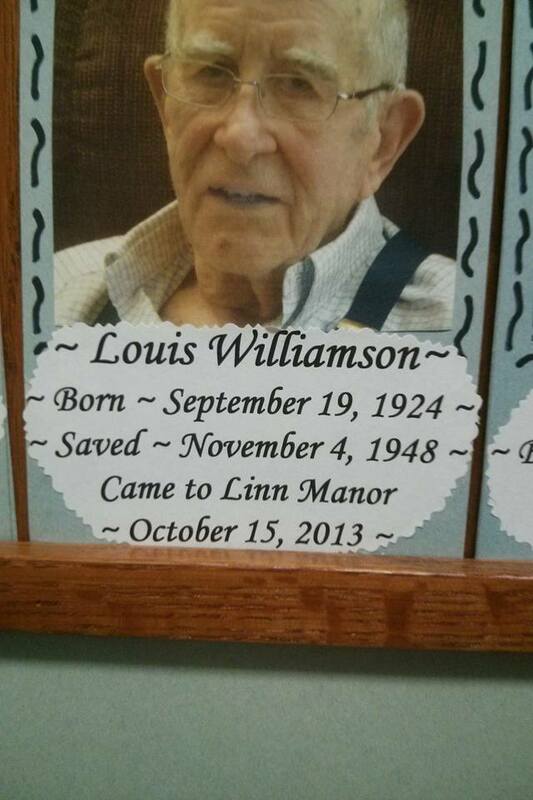 There was a sign on his door of the nursing home he was living in. I was surprised to see the date of when he was born-again! I don’t know why I was surprised…after all, that’s the most important date in a Christian’s life! LJ died on November 23, 2015 at age 91. I’ll see him again…some day! 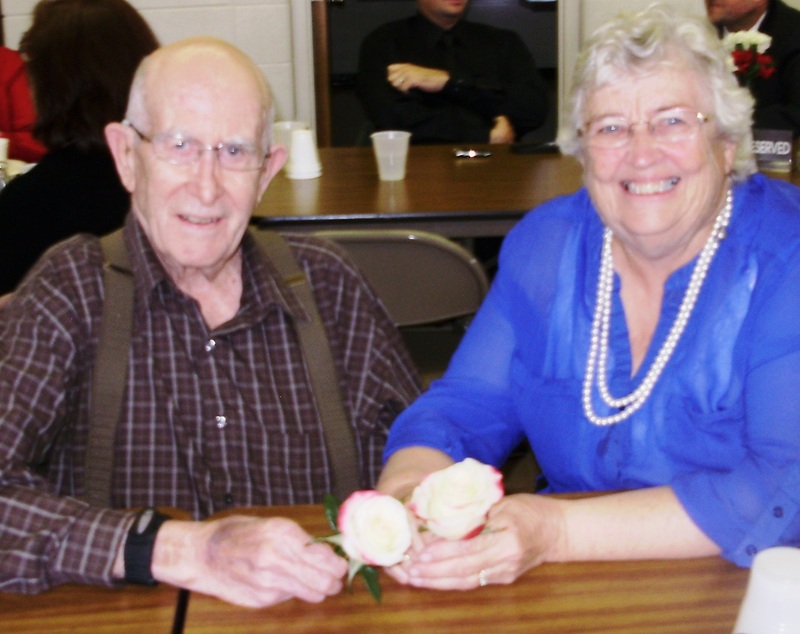 This is a picture of LJ and Ermadel when they were married 50 years. This entry was posted in Born-again, Cousin, Dad, LJ, Me, Memories, Reminiscing, Smile, Veteran, World War II and tagged Cousins, Dad, Family, Iowa, LJ, Me, Memories, Smile, Veteran, World War II. Bookmark the permalink. You are logging important family history here, with lasting life lessons to go with it. Keep at it!